Jessie Kesson wis a prolific scriever o novels, poetry, stories, radio plays an screenplays. Born intae puirtith in the Hiltoon warkhoose o Inverness, Jessie an her mither flittit tae the toon o Elgin, whaur Jessie wid spend the early days o her bairnhood. 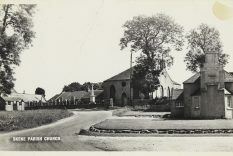 At 10 year auld she wis estrynged frae her mither bi the Morayshire pouers-that-be an sent tae bide in an orphanage at Kirkton o Skene in Aiberdeenshire. Whiles shawin promise as a giftit pupil, the strictures o institutional life saw her dreams o furder education whummelt whan she wis denied dint o a scholarship. She wis thirled instead tae the darg o fairm service. Wi these sair trauchles an disappyntments leadin tae a brakdoon o halth, she wid thereftir spend mairrit years bidin in an upland croftin districk o Inverness-shire. She wid also bide in ferm touns o the Black Isle an Aiberdeenshire afore flittin tae London tae ettle eftir a career as scriever, whiles takkin oan a wheen ither joabs in oarder tae survive. Jessie scrievit brawly in English an in Scots, her novels, radio plays an poetry are braidly a testimony tae her earlier life. The characters wha moved through it an the trials she had tae thole, whiles scrievit wi a rowth o mense, compassion an beauty. Jessie Grant MacDonald was born in Inverness in 1916. Jessie’s airlie bairnhood in Elgin is glisked in semi-autobiographical novel ‘The white bird passes’ (1958). In the novel the young lass Janie is pairtit frae mither Lisa an sent tae the orphanage o Skeyne. Janie’s stravaigins wi Lisa in the wids o Morayshire inspire poetry in mither an wunnerment in bairn. It is the cantrips o natur – an amang wids in particular – that mak for a recurrin motif in the earlier an later warks. The bield o the wid is aften glisked as a girth o siccarness amang the trauchles o fairm darg or as escape frae laneliness fir the ‘ootlin’ bairn thirled tae institutional or agricultural service. The plicht o the ‘ootlin’ is aye prevalent in Jessie Kesson’s wark. In ‘The white bird passes’ Janie’s wunnerment is also viewed through the strushie o ‘The Lane’ an the colourfu worthies wha bide in this owercroodit vennel amang the Elgin slums. Alyk tae Dickens wi his imaginary ‘Magic Lantern’ tae descrive the street scenes an soonds o Victorian Lunnon that wid gar him spellbound, in ‘The white bird passes’ Jessie glents her ain sensory lantren oan the backwynds o Elgin in the years atween wars. In a hantle o Jessie Kesson’s wark it can pruive fykie tae separate fiction frae trowth. 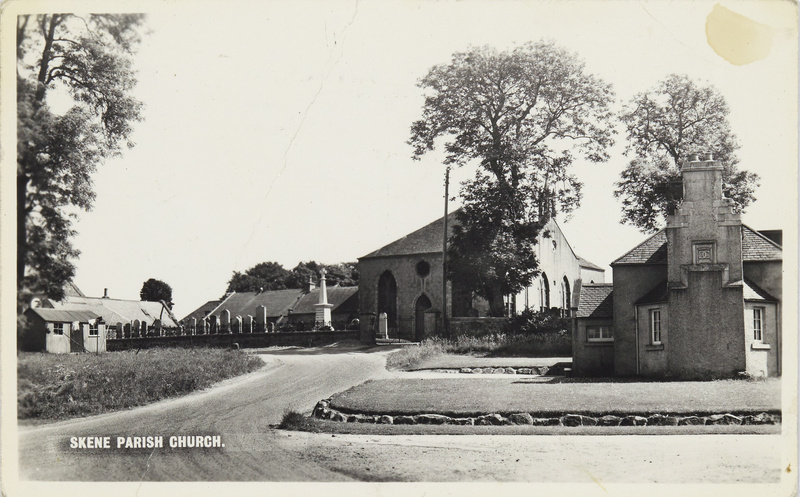 At Elgin Shirra Coort in 1927 mither Liz MacDonald wis chairged wi negleck an dochter Jessie ordert tae be remuived tae a hame intil she atteened the age o 16. It wad seem that promiscuity in real life, raither than prostitution is what defined Lisa in ‘The white bird passes’. It wis ane o the social judgments passed on Liz wha wid end her days dwynin frae the debilitatin effecks o syphilis afore finally dyin in 1949. Whit binds fact an fiction is the unconditional luve Jessie Kesson keept for her mither, reflectit in the luve Janie had for Lisa wi aw her tellins o poetry an ballads in ‘The white bird passes’. 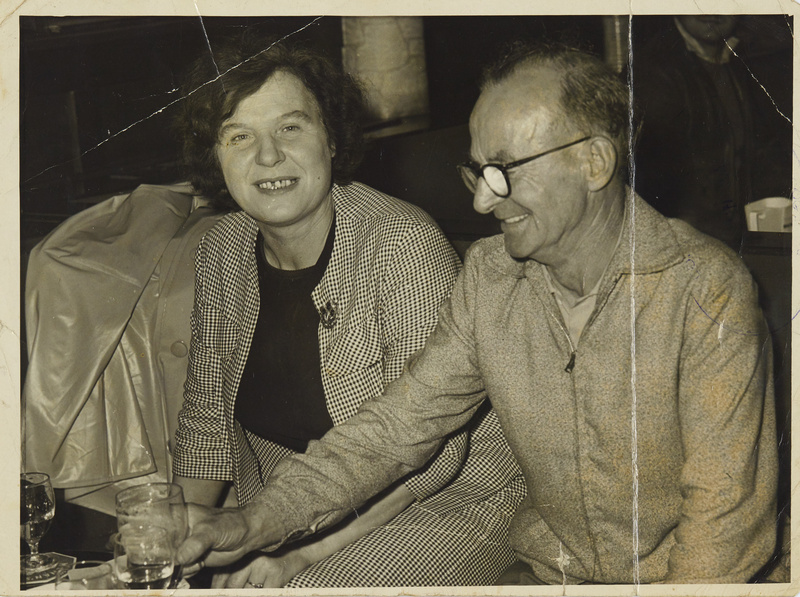 Muckle is owed tae biographer an editor Isobel Murray fir the accoonts o Jessie Kesson’s life. An also fir the hairstin o lesser kent warks that hae featured in braidcast an prent whiles kythin poems, stories an plays scrievit pairtly or the feck o it in Scots. 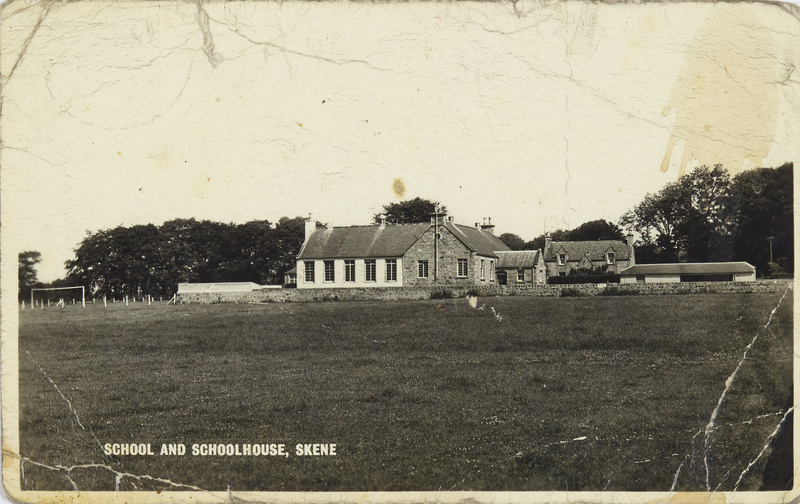 Upon reachin the end o her tairm at Proctors Orphanage at Kirkton o Skene an the trustees denyin her a scholarship – an atteenment thocht unacceptable fir an orphan let alane a quine – Jessie wis thirled tae the darg o ferm deem in Aiberdeenshire. It was a predicament that wid lead tae a dwyne o mental halth an nervous brakdoon. She spent ane year at the Royal Cornhill Hospital in Aiberdeen afore bein sent tae recuperate at Achabuie in the crofin tounship o Abriachan, in the braes heich abune the north bank o Loch Ness. It wis here she wid meet husband an life pairtner Johnnie Kesson, a cattleman wha as a loon had been orphaned oot intae fairm service at nearby Balmore. The couple flittit for a time tae fermtouns in Aiberdeenshire an the Black Isle, locations that wid impact on later novels ‘Glitter of mica’ (1963) an ‘Another time, another place’ (1983). The latter set on wartime Black Isle whaur a young mairrit quine is attractit tae an Italian preesoner-o-war. ‘The White Bird Passes’ wis adaptit fir television bi director Michal Radford in 1980. Radford wid likeweys direct the 1984 BAFTA award-winnin film version o ‘Another time, another place’, ‘Where the apple ripens and other stories’, wis imprentit in 1985. Jesie Kesson wis instilled wi a luve o poetry an literature whiles unner the tutelage o dominie Donald Murray durin her schuildays at Skene. In her letters hauden at the Leebrar she references poets sic as A E Housman, Walt Whitman, Shelley an the popular Doric poet Charles Murray (1864-1941). It wis whan Jessie wis bidin at a fairm near Old Meldrum that she chanced tae meet scriever Nan Shepherd oan a train journey. This coincided wi the day she had lairned o the daith o poet Charles Murray. Jessie Kesson had annoonced news o this event tae her fellow passenger, spairkin aff a conversation an lithesome exchynge that wid become a lifelang friendship. 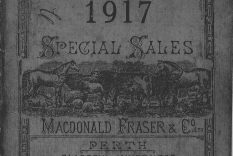 Shepherd later socht oot Jessie at Old Meldrum an bidden her tae send a piece tae poetry periodical ‘Sangschaw for Makars’. Her contribution wis duly imprentit, resultin in a book token an her first scrievin in prent. Whiles ettlin tae ambitions as scriever, in the earlier days o her career Jessie had pieces imprentit in the ‘Scots magazine’ an ‘North-East review’. Her poem ‘Fir Wud’ cam tae the attention o Neil Gunn wha baith admired an encouraged her wark, noo finnin a braider audience through BBC radio in Scotland. Remuivin tae Lunnon in 1951 wi husband Jonnie an ther dochter an son, she continued tae scrieve for braidcast, film and prent. She did this whiles warkin at a wheen ither joabs frae cleaner tae social warker an airtists life model. Whiles the novels o Jessie Kesson are scrievit maistly in English, she aftimes yaises Scots vocabulary sperrinly an tellinly amang the narrative an wi strang effect in the vyces o her chairacters. The National Leebrar hauds several copies o Jessie Kesson’s novels an several copies o the short story collection ‘Where the apple ripens’. A copy o the collectit novels an stories in the ‘Jessie Kesson Omnibus’ is also haudit in the Leebrar. It also hauds ane copy o ‘A country dwellers years’ an ‘Somewhere beyond’, as introduced an editit bi Isobel Murray, as weel as the biography ‘Jessie Kesson; Writing her life’. The Leebrar’s manuscripts collections also hauds several files o letters, correspondence an articles belangit to Jessie Kesson. It also has haundwritten an typewritten manuscripts an manuscript fragments o biography, stories, poems an plays. Jessie Kesson was a prolific writer of novels, poetry, stories, radio plays and screenplays. 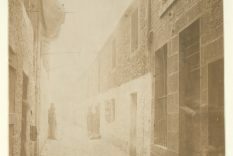 Born into poverty in the Hilton workhouse in Inverness, Jessie and her mother moved to the town of Elgin, where Jessie would spend the early days of her childhood. At 10 years old she was estranged from her mother by the Morayshire authorities and sent to reside in an orphanage at Kirkton of Skene in Aberdeenshire. While showing promise as a gifted pupil, the strictures of institutional life saw her dreams of further education overturned when she was denied opportunity of a scholarship. 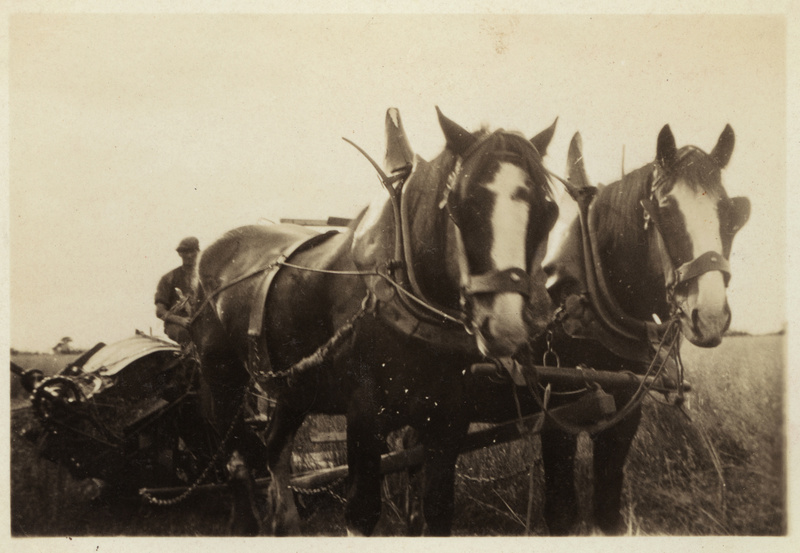 She was bound instead to the rigours of farm service. With these trials and disappointments leading to a breakdown in her health, she would thereafter spend her married years living in an upland crofting district of Inverness-shire. She would also live in farming communities of the Black Isle and Aberdeenshire before moving to London with the aim of establishing a career as a writer while taking on a number of other jobs in order to survive. Jessie was a fine writer in English and in Scots, her novels, radio plays and poetry are largely a testimony of her earlier life. The characters who moved through it and the trials she had to endure, while written with no small measure of dignity, compassion and beauty. Jessie Grant MacDonald was born in Inverness in 1916. Jessie’s early childhood in Elgin is glimpsed in semi-autobiographical novel ‘The white bird passes'(1958). In the novel, the young girl Janie is parted from mother Lisa and sent to the orphanage of Skene. Janie’s wanderings with Lisa in the woods of Morayshire inspire poetry in mother and wonder in child. It is the enchantment of nature – and among woods in particular – that make for a recurring motif in the earlier and later works of the writer. Here the sanctuary of the wood is often glimpsed as a place of security among the trials of farm labour or as an escape from loneliness for the ‘ootlin’, or outcast child, tied to institutional or agricultural service. The plight of the ‘ootlin’ is often prevalent in Jessie Kesson’s work. In ‘The white bird passes’ the child’s wonder is also viewed through the tumult of ‘The Lane’ and the colourful characters who live in this overcrowded alley among the Elgin slums. 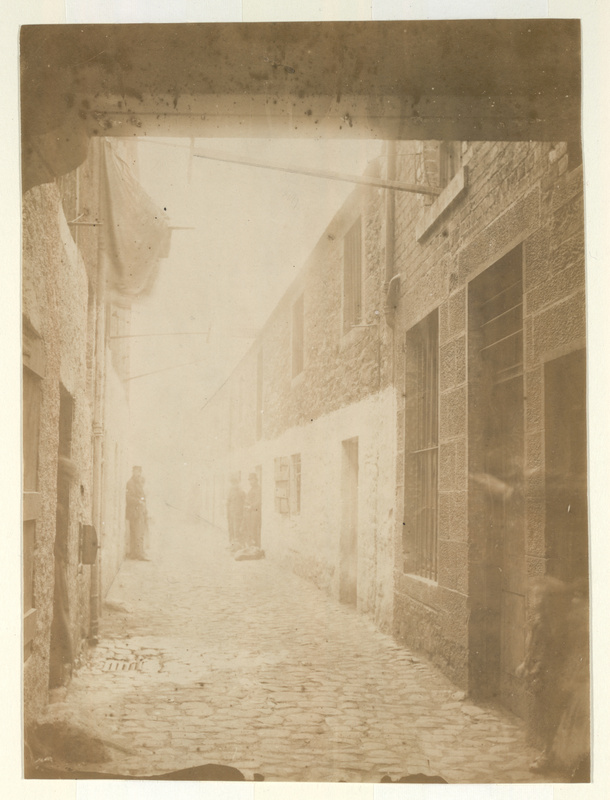 Like Dickens with his imaginary ‘Magic Lantern’ to describe the street scenes and sounds of Victorian London that would hold him spellbound, in ‘The white bird passes’ Jessie shines her own sensory lantern on the back-streets of Elgin during the interwar years. It can be fickle to separate fiction from fact in much of Jessie Kesson’s work. At Elgin Sheriff Court in 1927 mother Liz MacDonald was charged with neglect and daughter Jessie ordered to be removed to a home until she was 16 years old. It would seem that promiscuity in real life, rather than prostitution is what defined Lisa in ‘The white bird passes’. It was one of the social judgments passed on Liz who would end her days wasting away from the debilitating effects of syphilis before finally dying in 1949. What binds fact and fiction is the unconditional love Jessie Kesson had for her mother. This was reflected in the love Janie had for Lisa with all her reciting of poetry an ballads in ‘The white bird passes’. Much is owed to biographer and editor Isobel Murray for the accounts of Jessie Kesson’s life. And also for her gathering of Jessie’s lesser known works that have featured in broadcast and print, while revealing poems, stories and plays written partly or mainly in Scots. 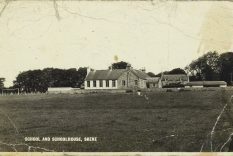 Upon reaching the end of her term at Proctors Orphanage at Kirkton of Skene and the trustees denying her a scholarship – an attainment deemed unacceptable for an orphan let alone a girl – Jessie was tied to the labours of farm girl Aberdeenshire, a predicament that would lead to a decline of mental health and nervous breakdown. She spent a year at the Royal Cornhill Hospital in Aberdeen before being sent to recuperate at Achabuie in the crofting township of Abriachan, set in the hills high above the north bank of Loch Ness. It was here she would meet husband and life partner Johnnie Kesson, a cattleman who, as a boy, had been orphaned out into farm service at nearby Balmore. The couple relocated for a time to farming hamlets in Aberdeenshire and the Black Isle, locations that would impact on later novels ‘Glitter of mica'(1963) and ‘Another time, another place’ (1983). The latter set on wartime Black Isle where a young married girl is attracted to an Italian prisoner of war. ‘The white bird passes’ was adapted for television by director Michal Radford in 1980. Radford would also direct the 1984 BAFTA award-winning film version of ‘Another time, another place’. ‘Where the apple ripens and other stories’, was published in 1985. Jesie Kesson was instilled with a love of poetry and literature while under the tutelage of teacher Donald Murray during her schooldays at Skene. In her letters held at the Library she references poets such as A E Housman, Walt Whitman, Shelley and the popular Doric poet Charles Murray (1864-1941). It was when Jessie was residing at a farm near Old Meldrum that she chanced to meet writer Nan Shepherd on a train journey. This coincided with the day she had learned of the death of poet Charles Murray. Jessie Kesson had announced news of this event to her fellow passenger, sparking off a conversation and genial exchange that would become a lifelong friendship. 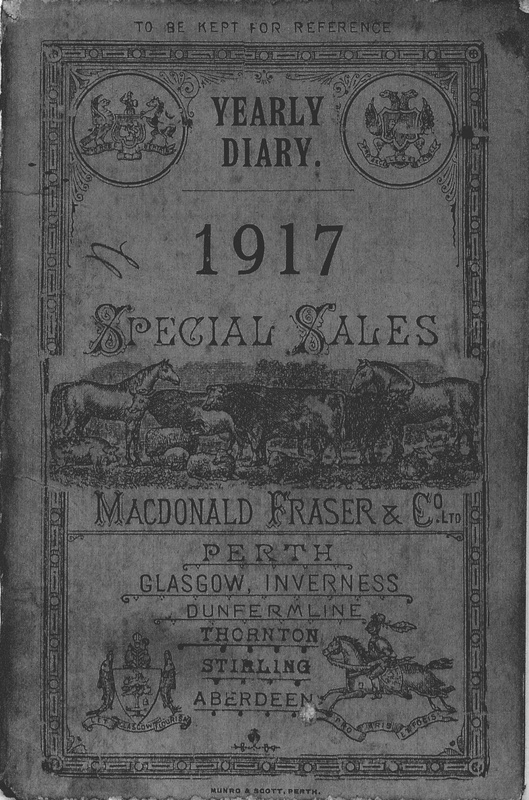 Shepherd later sought out Jessie at Old Meldrum and invited her to send a piece to poetry periodical ‘Sangschaw for Makars’, her contribution was duly published, resulting in a book token and her first writing in print. 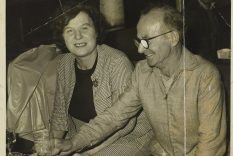 While resolved to pursuing her writing ambitions, in the earlier days of her career Jessie had pieces published in the ‘Scots Magazine’ and ‘North-East Review’, her poem ‘Fir Wud’ came to the attention of Neil Gunn who both admired an encouraged her work, now finding a wider audience through BBC radio in Scotland. Moving to London in 1951 with husband Jonnie and their daughter and son, she continued to write for broadcast, film and publication, while working in a variety of other jobs from cleaner to social worker and artists life model. The Library holds several copies of Jessie Kesson’s novels and several copies of the short story collection ‘Where the apple ripens’. A copy of the collected novels and stories in the ‘Jessie Kesson omnibus’ is also held at the Library. It also holds a copy of ‘A country dwellers years’ and ‘Somewhere beyond’, as introduced and edited by Isobel Murray, as well as in the biography ‘Jessie Kesson; Writing her life’. The Library’s manuscript collections also holds several files of letters, correspondence and articles relating to Jessie Kesson. along with handwritten and typewritten manuscripts an manuscript fragments of biography, stories, poems an plays. Creep on’ hap siccar w’ your velvet faulds the wearied day. I ken nae noo familiar form o’ trees. The loch lies phantom-like alow yer mists.